Lohri, the annual North Indian harvest festival, is observed in the middle of January and marks the change of direction of the sun. TheHolidaySpot strives to add to your Lohri celebrations with a brilliant section on the occassion. Our Lohri section consists of everything from recipes, gift ideas, craft ideas, puzzle activities, poems, quotations and an array of interesting articles on the various aspects of the festival. So take a tour of our Lohri section and if you like it, you can click here to refer it to your friends and loved ones. Have a fervid Lohri celebration! Learn all about the reason behind the celebration of Lohri. Inform yourself about some popular customs linked to the Lohri festival. Wish you friends and dear ones on Lohri with these free e-cards themed to the festive spirit. Try these fun-filled puzzle activities and raise your Lohri celebrations to newer heights. Set onto your desktop or send to your friends cool wallpapers themed to the festival. Use these gift ideas to choose the perfect items to present your dear ones with on Lohri. Add more flavour to your Lohri festivities with these easy foodmaking directions based on the event. Familiarize yourself with the enchanting legends associated with the festival. Test your knowledge about Lohri with this interesting quiz on the occassion. Know how this well-known historical character is inextricably related to Lohri. Make fabulous homemade gifts for your loved putting these simple craft ideas themed to Lohri. Go through the lyrics of some of the popular songs sung during Lohri. Read these beautiful poems on harvest and contribute to your aesthetic pleasure during Lohri. 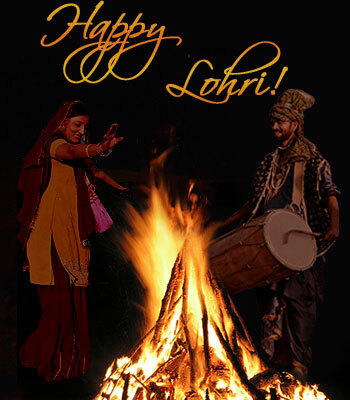 Go through these beautiful quotations that suit the mood of the Lohri festivities.